For more information on our discharge upgrade services please view our flyer. LASC also offers a brief advice clinic at the Chalmers P. Wylie VA Ambulatory Care Center every Thursday morning from 9:00 a.m. – 11:30 a.m. Low-income veterans are offered the opportunity to meet with a volunteer attorney who can answer legal questions. See our flyer for additional information. Assists low-income Ohio veterans with civil legal needs in the areas of housing, consumer, employment, family and probate law. 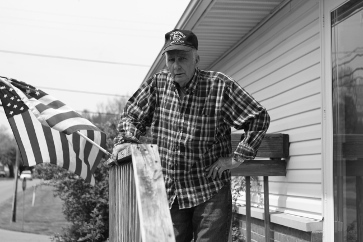 OLHO will serve veterans up to 200 percent of the federal poverty line. In some cases, they may assist veterans with incomes up to 300 percent of the federal poverty line. Assists Franklin County veterans with civil legal needs in the areas of housing and consumer law. Assists Franklin County veterans with all VA benefits issues and provides a variety of funds to veterans to avoid homelessness. If you are wondering what benefits you may be eligible for through the VA, you should contact the VSC.